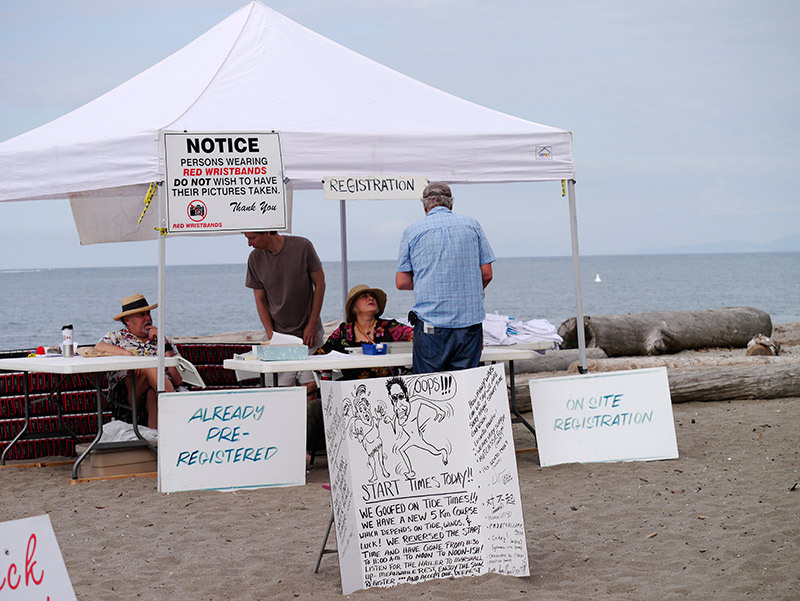 19th Annual Wreck Beach Bare Buns Run 2015 | Welcome to Wreck Beach! 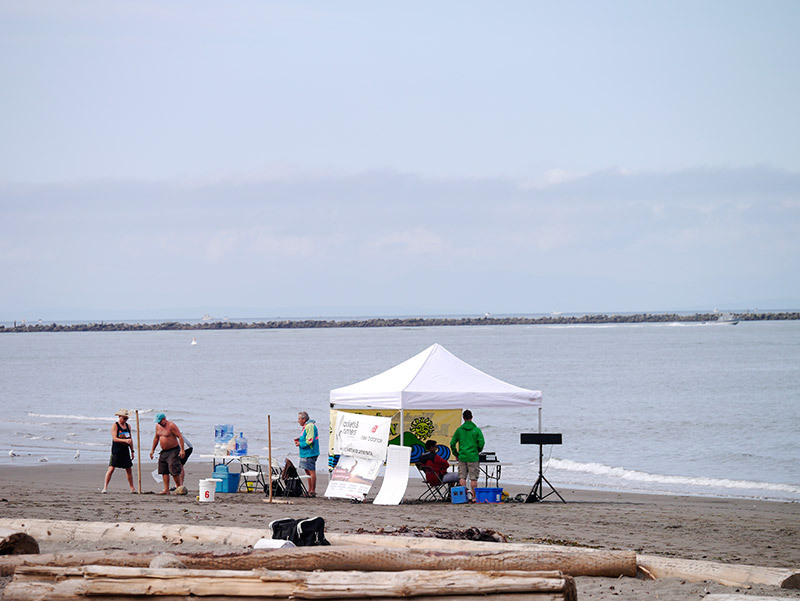 Thank you for participating for our 19th Annual Wreck Beach Bare Buns Run! 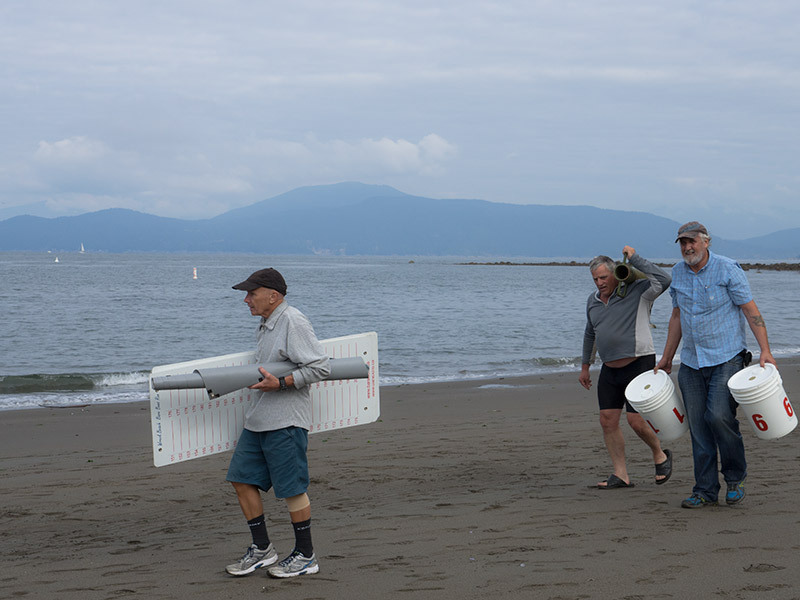 It was quite poor weather and tide condition in the morning… but it recovered by the time we start the run. Look! How quiet it was… at the beginning…! Volunteers helped us to set up everything. You still can see how high the tide was. 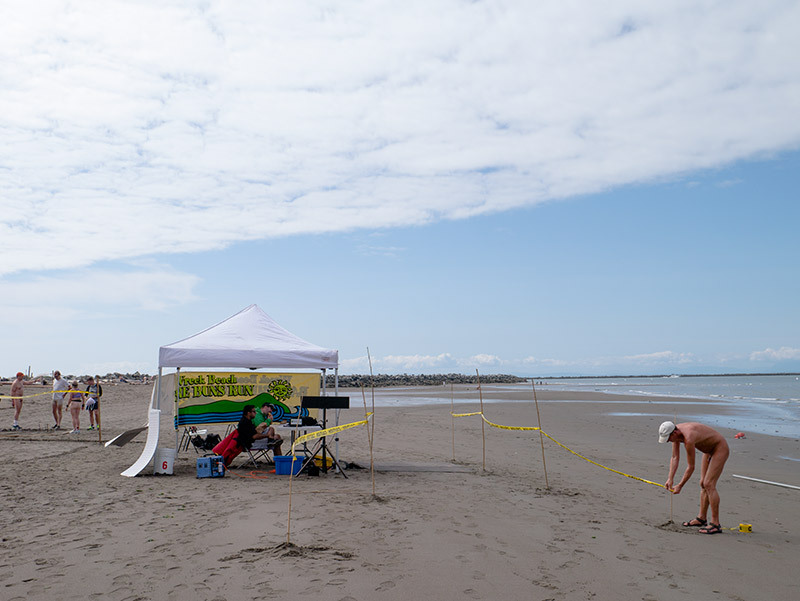 Due to the tide condition, Starting time was delayed to 12:14. By this time, the cloudy sky was all cleared up and was the perfect tempurature for the event. This guy came all the way from Australia for this event! 1, 2 finish… He is the winner from Seattle! Bradley from Seattle was the winner… well… look at the first photo… he was already the top. Thank you Watermelon… you are so entertaining! Runners with Triangle medal… this means they ran all the 3 runs across the continent. 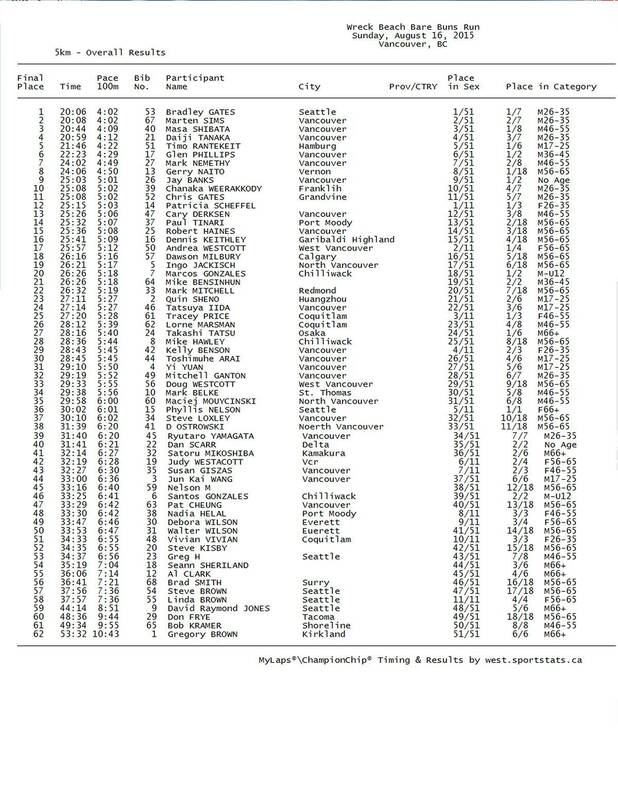 Total 62 runners completed the race! 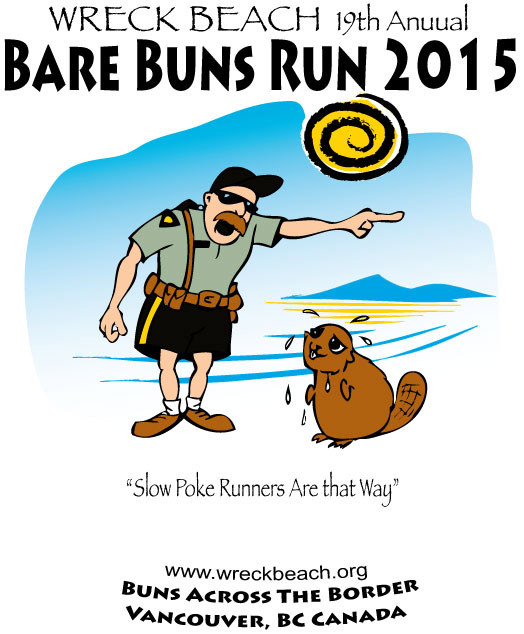 Group shot of Bare Buns Run 2015! Due to the change of management, we had do downsize a little bit, but still lots of people helped us and it made it quite successful. I say thank you for all the runners and all the volunteers and Judy, who managed the run! PS: Sorry to delay the post. We had something more important to talk about on this blog and those had higher priority.